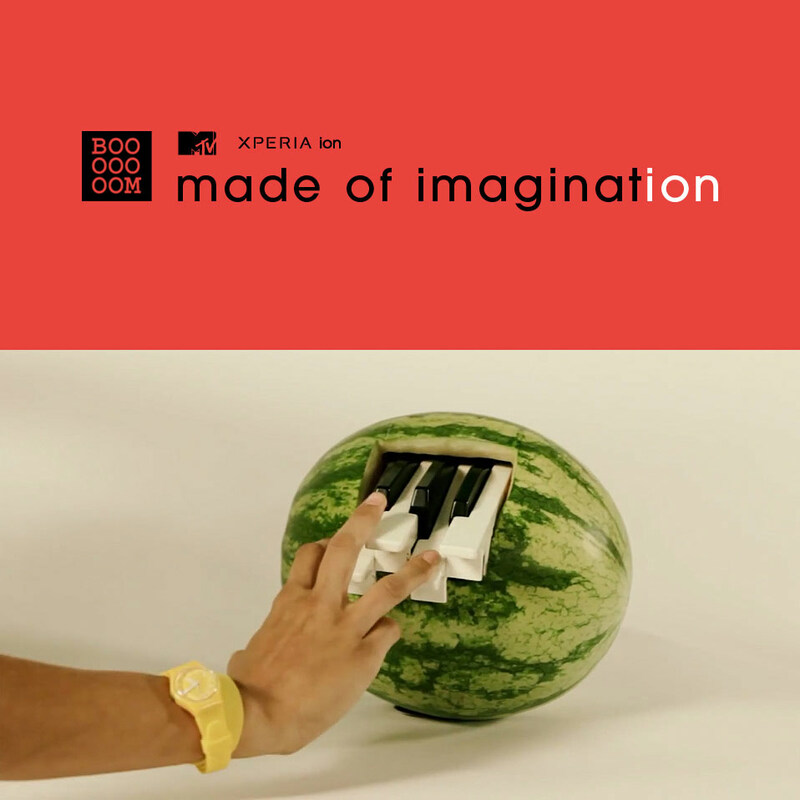 Introducing Made of Imagination, a two-part project with our friends at MTV! 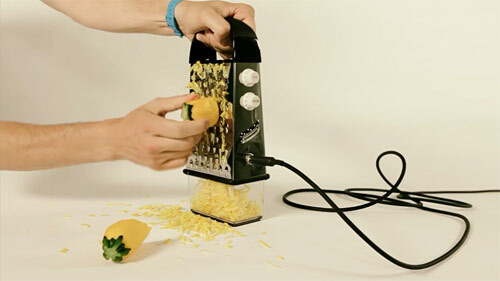 So who wants to make some homemade instruments? After a couple months of secrecy I’m excited to finally announce our latest project: “Made of Imagination”. This one’s a collaboration with MTV and Sony Xperia, so I think it’s safe to say this is the biggest one yet. Does that image above give you any idea what we’re doing this time? We’re building homemade instruments! 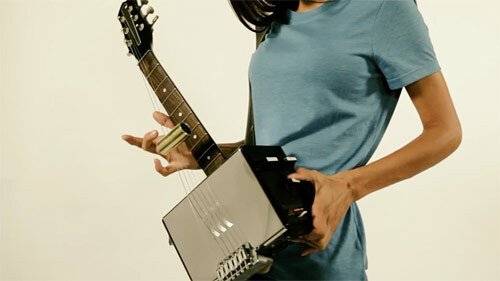 Beautiful, hopefully ingenious, and probably ridiculous musical instruments. You can choose to re-make an existing instrument or invent a completely new one. I’ve snagged a couple of the new Xperia Ion phones as prizes, and I’ll definitely throw in some Booooooom goodies too. There will be a prize for the most creative instrument and another for the best video performance! So if your instrument can actually make noises I’d love to see you perform a song with it! It’s up to you though! You can spend all your time building an insane instrument and forget the performance OR you can build a simpler instrument, figure out how to play a song with it, and create the ultimate performance video. The third option would be to build an insane instrument AND learn how to play it so masterfully that your performance video actually shatters the entire Internet and people get pregnant just from hearing the explosion. How does all this sound? We’ve also asked some emerging Canadian musicians to do the same kinda thing, teaming up with Rich Aucoin, The Sheepdogs, Little Scream, and Hey Ocean! Hopefully these videos get you stoked to spend the weekend building instruments and exploring styles of music that you normally wouldn’t! INSTRUCTIONS! READ ALL OF THIS!!! 1. Create an instrument using whatever materials you can find. Be creative, and actually build something! Don’t just turn a pot upside down and call it a drum. This is the fun part! 2. Take a good photo of your creation. Don’t spend hours making something and then take a bad cell phone photo! 3. (This step is optional) Record a video, performing a song with your instrument. Your performance may include real instruments too, but only as back-ups and only if there are more hand-made instruments than real ones. 4. Submit your work to us and high-five yourself, you’re done. By submitting your work you are giving us permission to post your work on the Internet and the right to distribute these images to publications that may want to write about this project. We will give full credit to you, the image makers, wherever possible. The deadline for submissions is: September 26th.